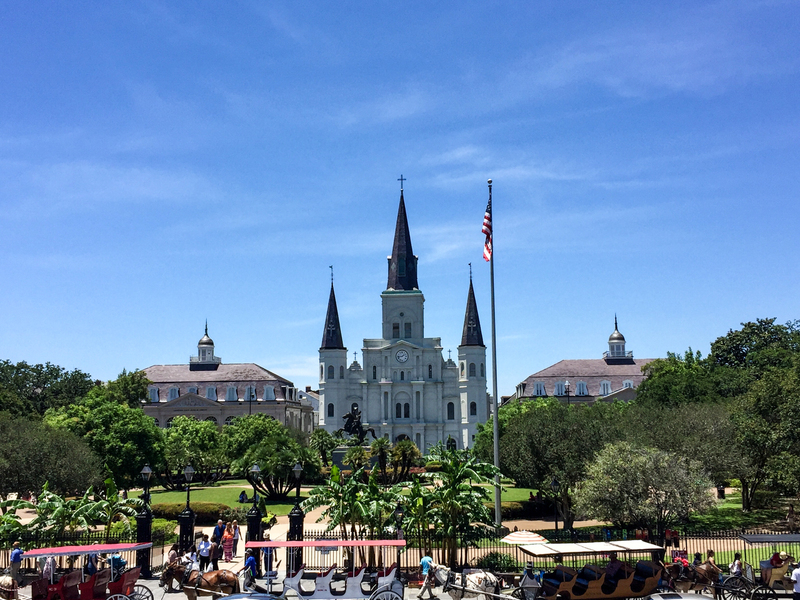 New Orleans has always been on my bucket list of places to visit – something my mom and I had in common. 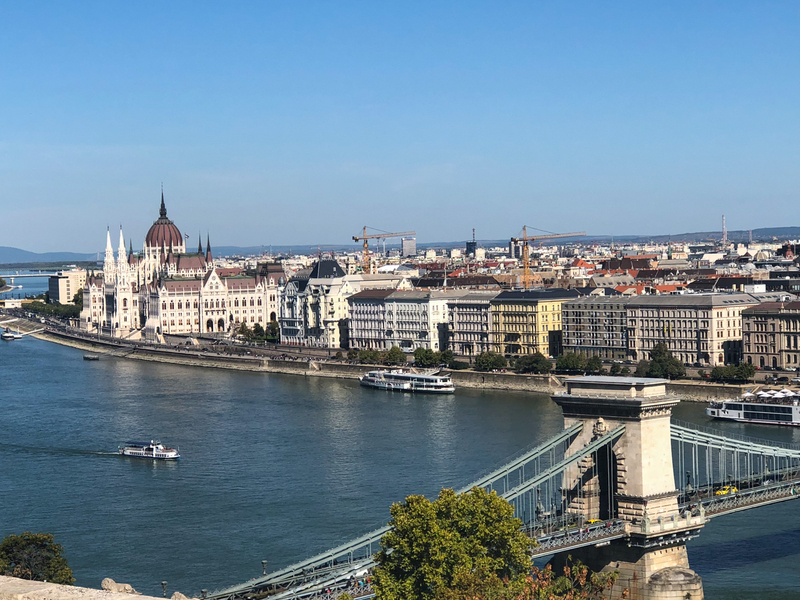 After all, it made The New York Times list of "52 Places to Go in 2018." 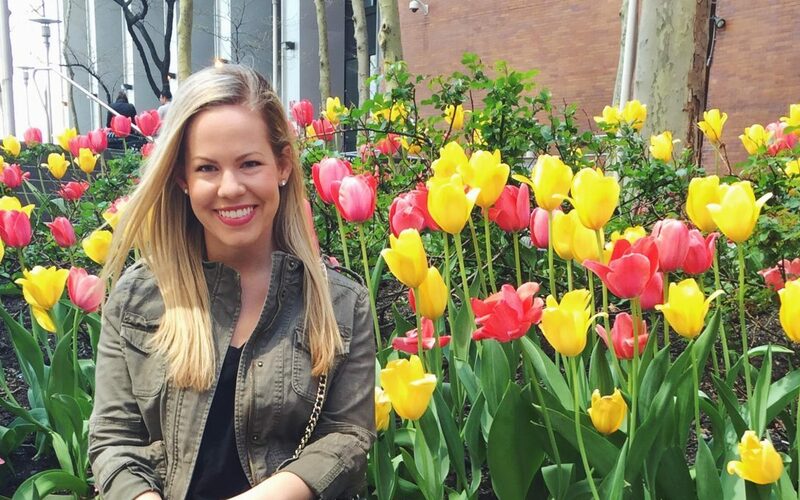 We decided to take our very first mother-daughter trip to explore the extraordinary culinary reputation of the city from bold flavors to historic dining venues. We started out by researching the classic dishes New Orleans is famous for, such as BBQ shrimp, turtle soup, and beignets. Then, we created a restaurant "hit list" – a combination of the old and the new. We wanted to sample some traditional foods to learn why they have stood the test of time. 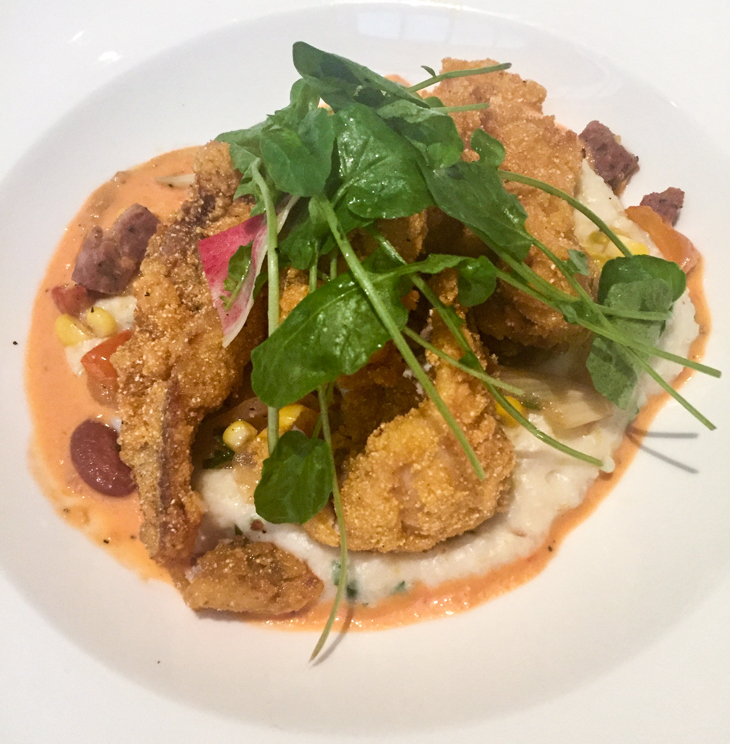 And, we wanted to try some new dishes to learn how they are incorporating the traditions of Cajun and Creole flavors into current food trends. In efforts to try as many places as possible, we generally had small bites at each places that we shared, rather than individually ordering large meals. Well…there was one exception, but it was so worth it! 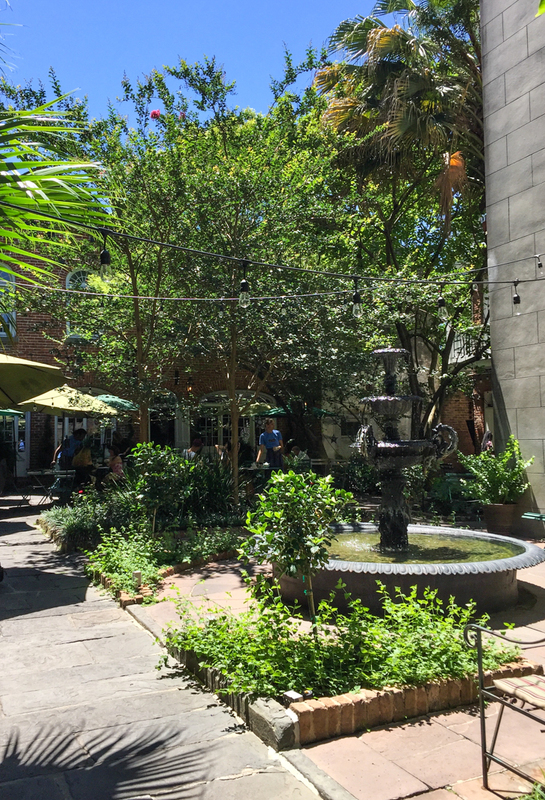 Once arriving and checking into our hotel, we went to lunch at this delightful cafe with a lush courtyard and fountain. There's something so appealing about sitting outside after being crammed in an airplane. We ordered the Shrimp and Grits with Corn and Andouille Maque Choux, and Baked Oysters with Creamed Spinach and Artichokes. Out of the two, the Shrimp and Grits was our favorite (and was demolished before I was able to take a picture – oops)! After lunch, we went to visit the renowned French Market. 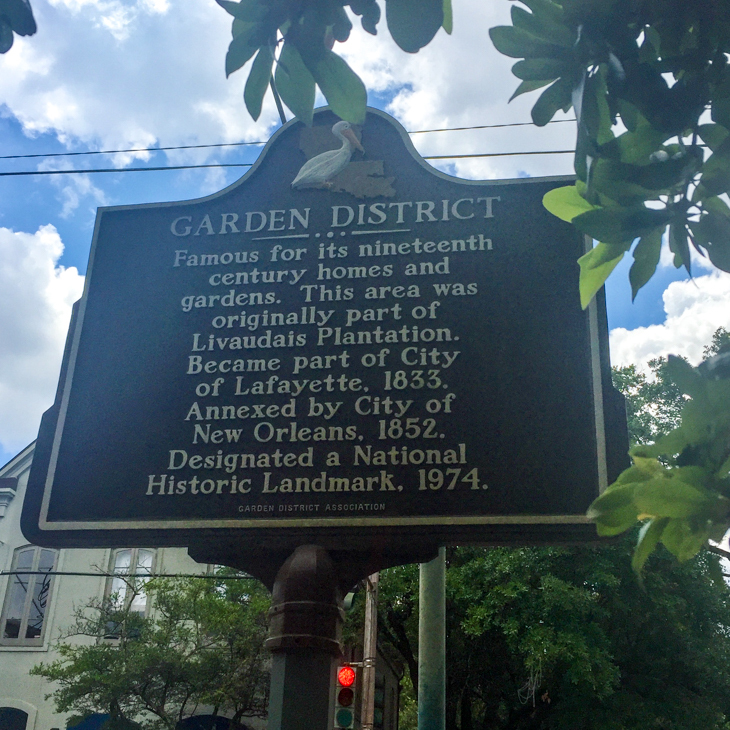 It is made up of a farmers market and flea market spanning 5 blocks of the French Quarter. It was predictably touristy while offering some fun NOLA cuisine, particularly a lot of alligator preparations! 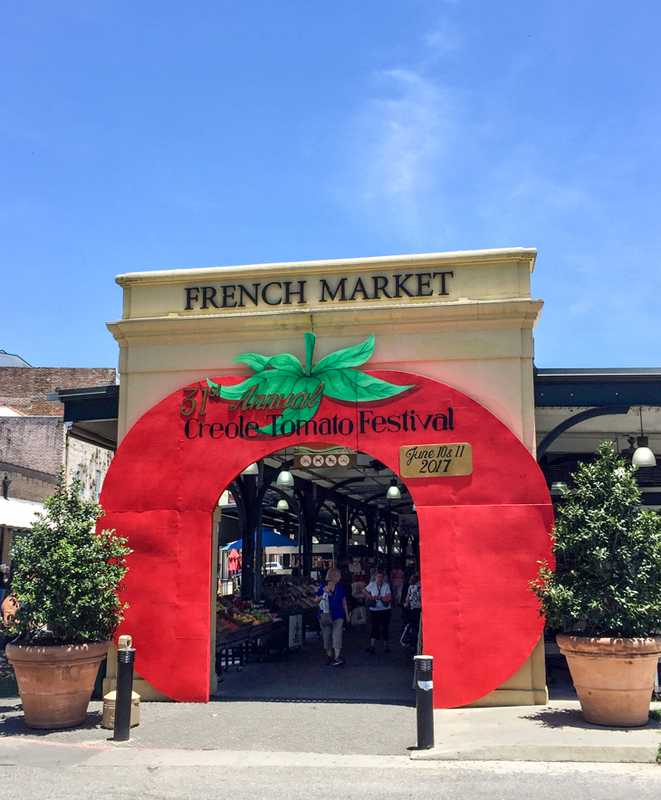 My mom went back for the Creole Tomato Festival and was unimpressed, unfortunately. I would say the market is worth visiting for a stroll. You never know what you might find! But it's possible you might be over it in 15 minutes. 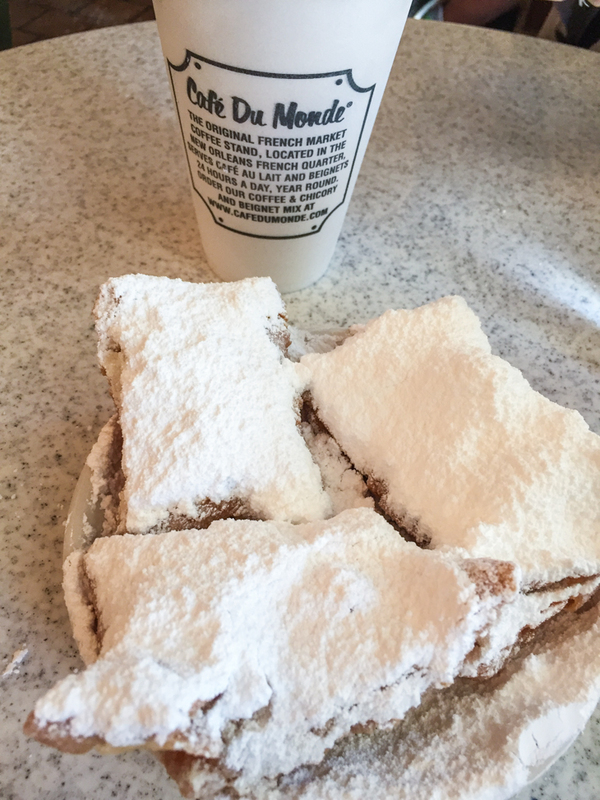 You don’t go to NOLA without a stop here, well-evidenced by the crowds. 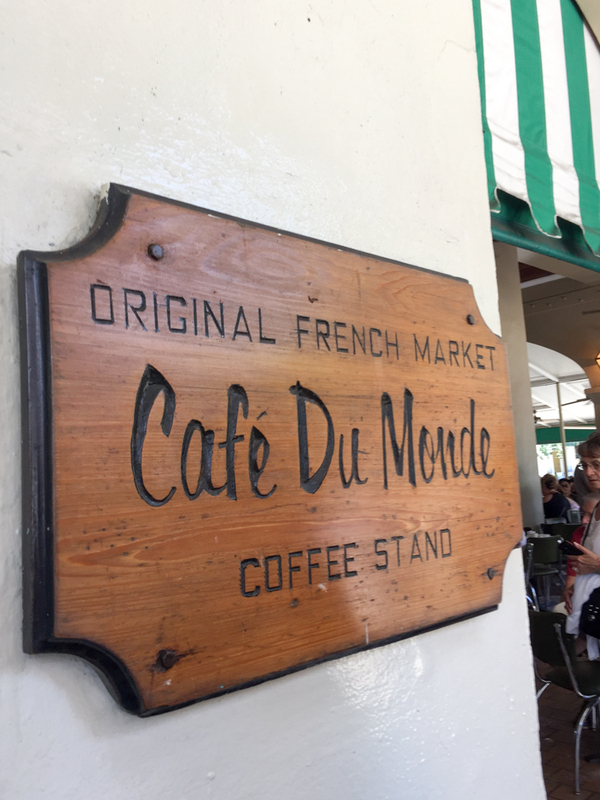 Founded in 1862, their menu consists of their world-famous coffee in various forms and powdered beignets, which of course, is exactly what we had! 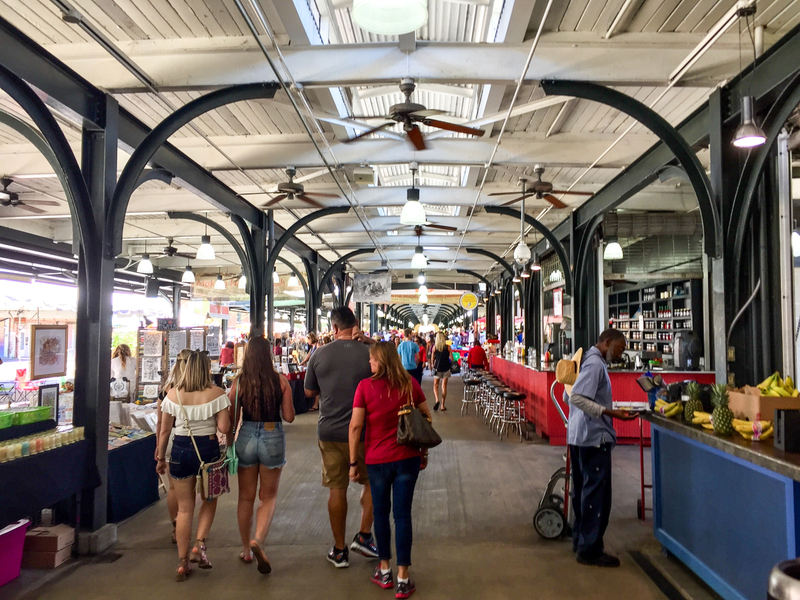 It is located within the French Market, with indoor and outdoor seating. More of the appeal to me here was the prime people watching! 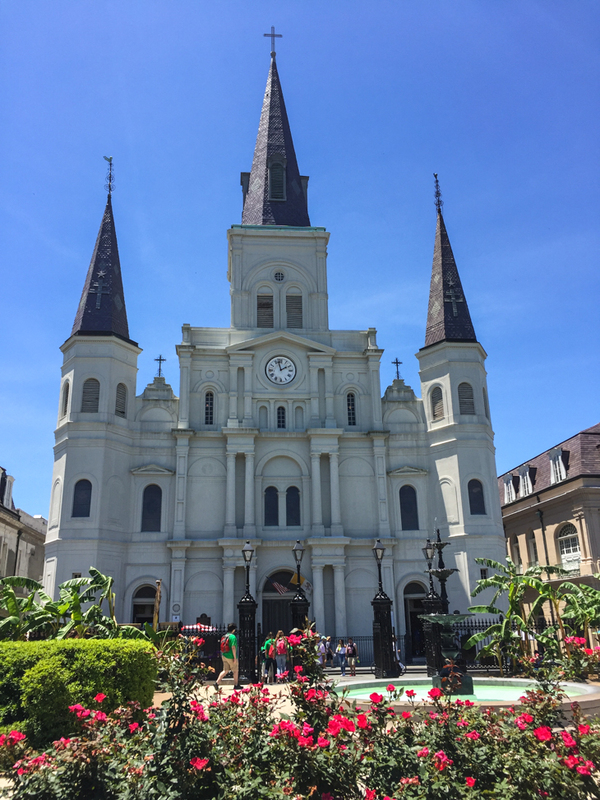 After eating the unbelievably messy beignets, we took our frozen cafe au lait to-go and walked around the beautiful Jackson Square. 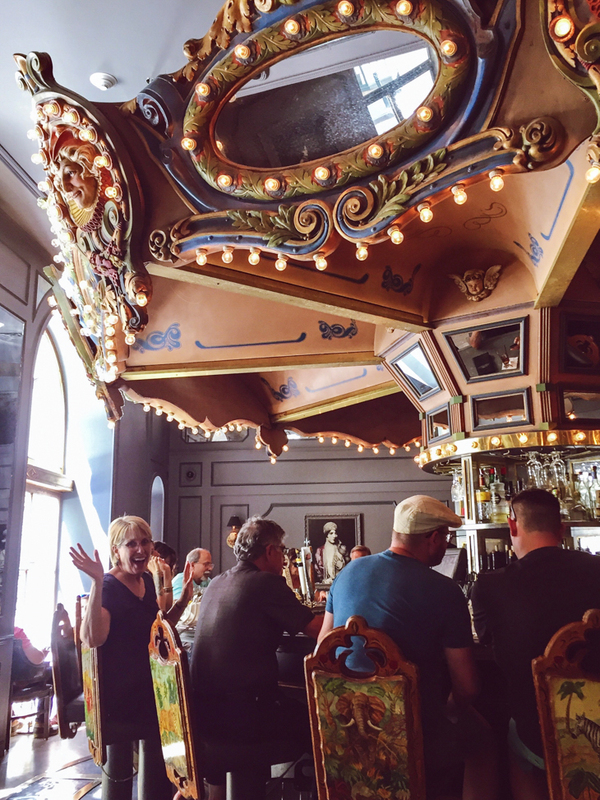 Having never been to a rotating bar, this hotel bar located in Hotel Monteleone was a must. The lounge itself is quite large, but there are not many seats at the bar. We found people were constantly coming and going, so we had no trouble getting a seat. We ordered the classic Fleur de lis and French 007 cocktails. They were great! This landmark in the French Quarter serves an outstanding Muffaletta sandwich – an item on our foodie must list. They offer it in quarter, half and whole sizes. What you see here is a quarter-size (huge!). 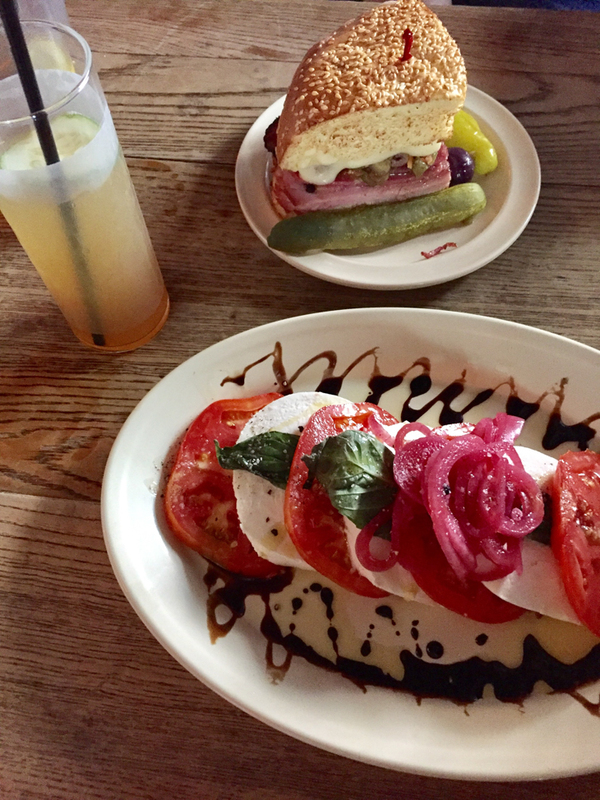 We also loved their traditional Pimm's Cup cocktail and Creole tomato caprese salad. Needless to say, the tomatoes were at the peak of their flavor! A perfect lunch. They supposedly have a nice courtyard, but it was closed for a private event when we were there. 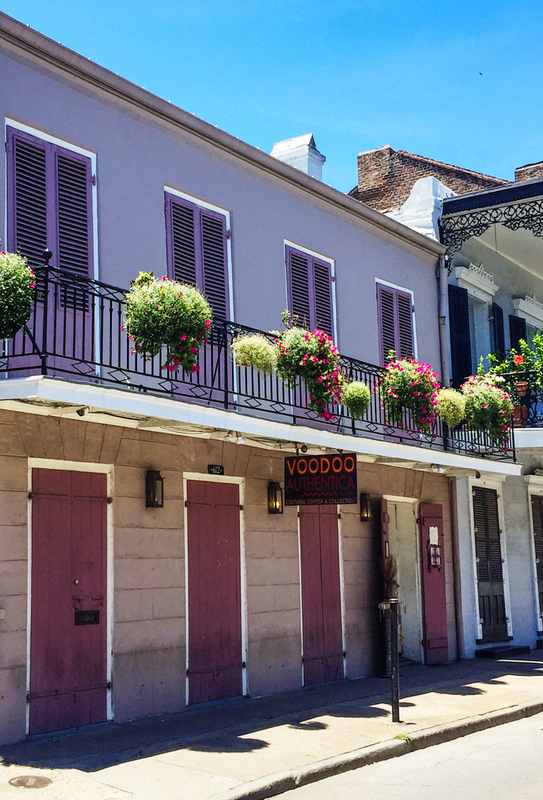 To escape the Bourbon Street area, wander over to Frenchman Street, known for their jazz clubs. There was live jazz being played on the street and in nearly every place that lined the street. 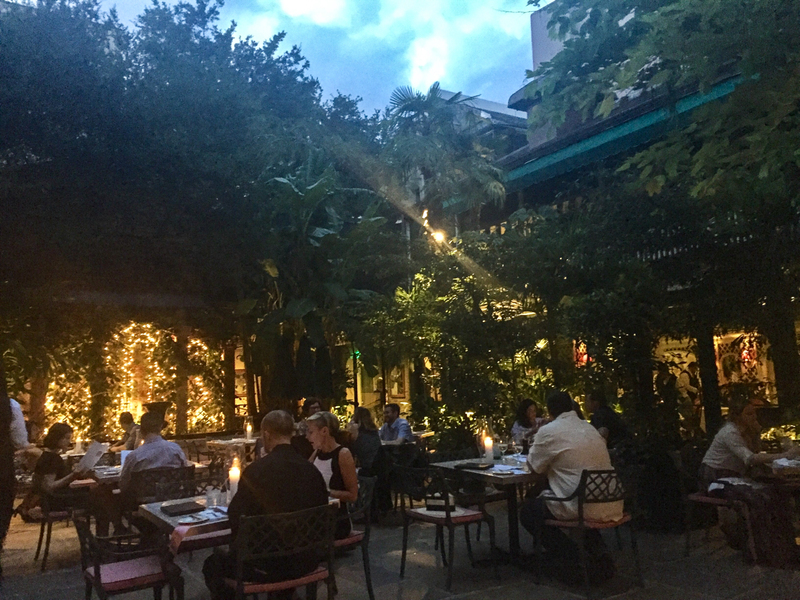 We landed at Three Muses, and enjoyed a fantastic piano player and cocktails – specifically, the Earl Grey Gardens and Minor Swing Margarita. It was a refreshing detour. Restaurant R’evolution offers an imaginative reinterpretation of Cajun and Creole cuisines with a focus on local ingredients, including those from what the chefs call “the swamp floor pantry.” We ordered a NOLA mule cocktail with absinthe, Crab Beignets with Four Remoulades, Tuna Tartare and Chocolate Doberge Cake. 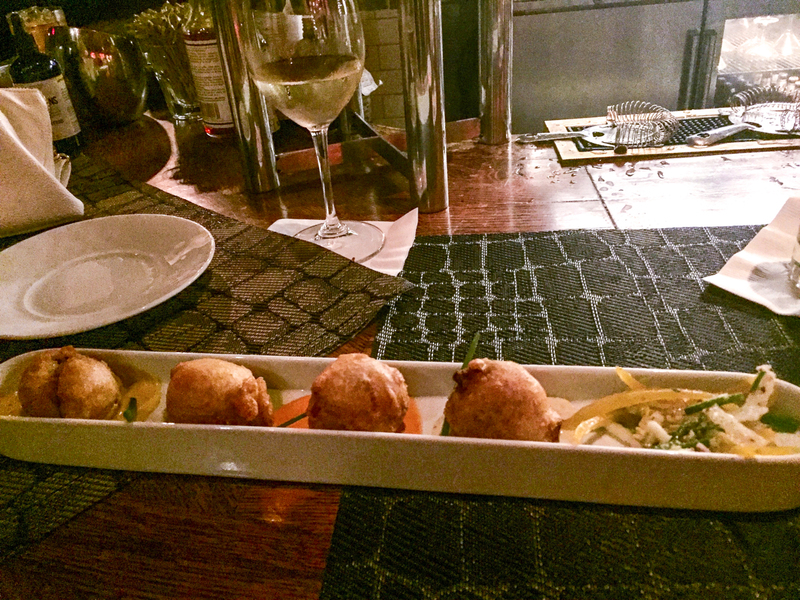 The beignets were done perfectly – lightly fried and filled with a lot of crab! 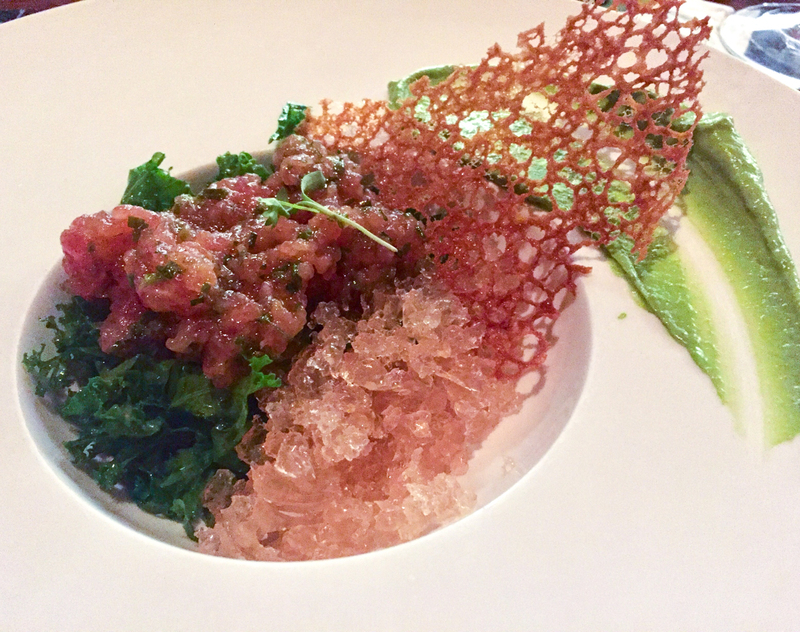 The tartare was presented in a way I've never had before. 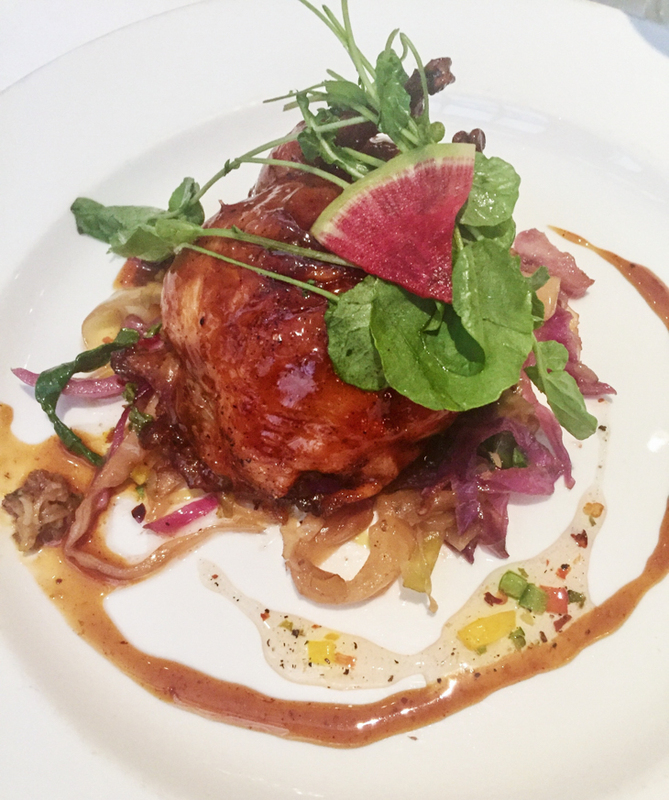 Everything was flavorful, yet light and not overdone. 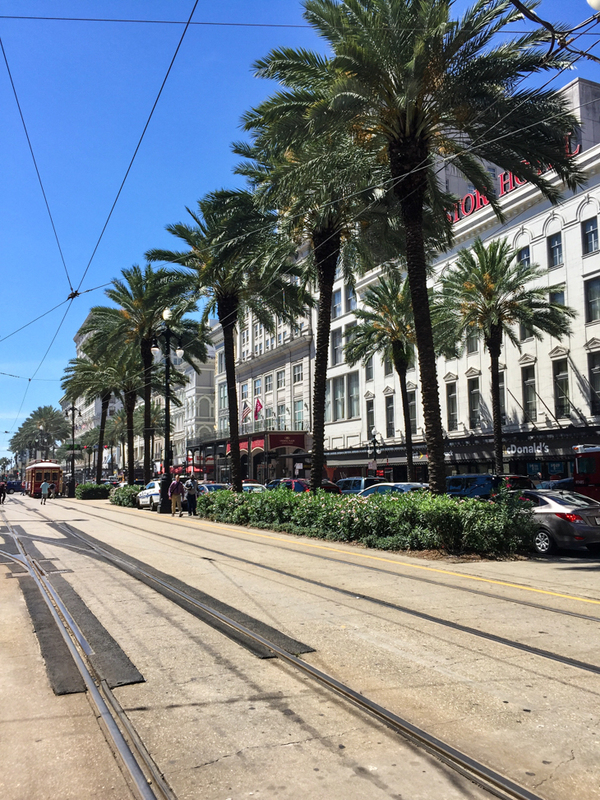 The next morning, we took the streetcar into the Garden District, which was a nice ride to view the city but not the fastest as it had frequent stops. A standard one-way fare on a streetcar costs only $1.25 but you have to have the exact amount ready, as fare boxes do not give change. 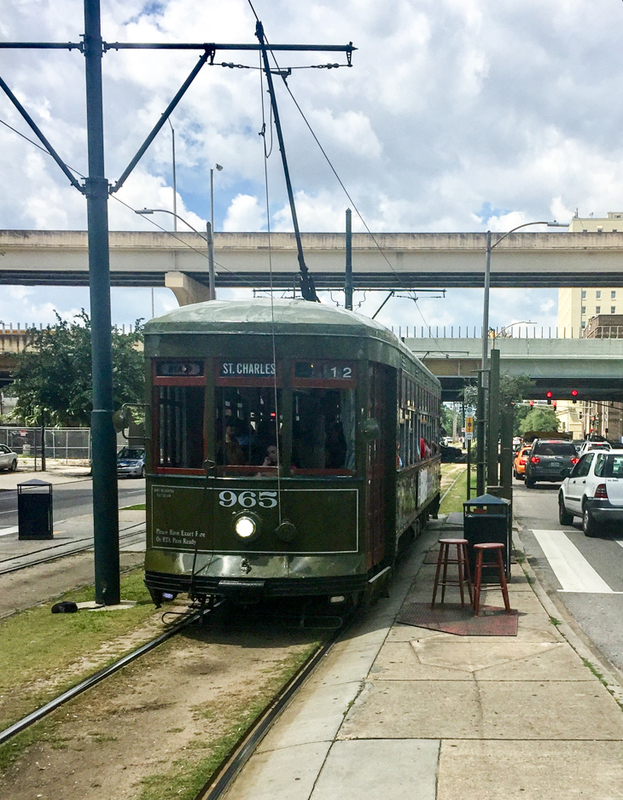 Compared to taking an Uber over to the Garden District from the French Quarter, it was about 10 minutes longer and $10 cheaper to take the streetcar. 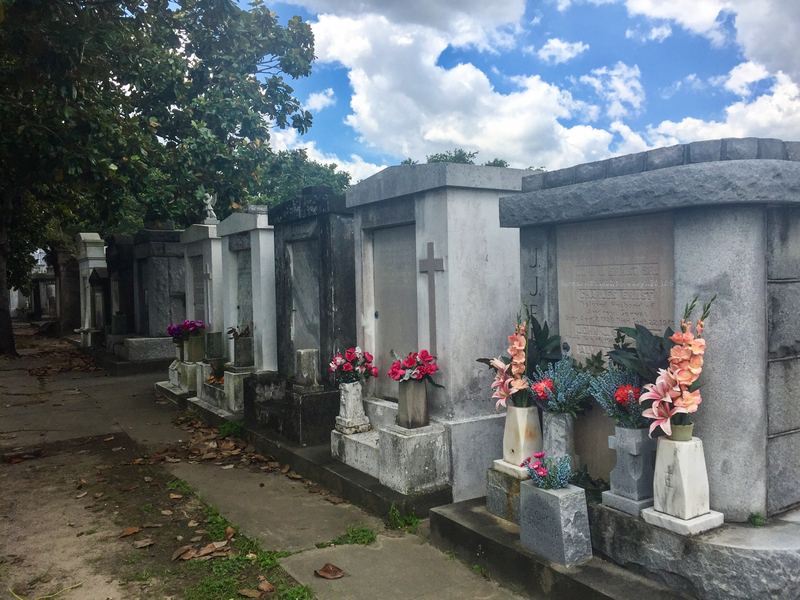 This historical cemetery with above ground tombs is certainly not for everyone, but I kept seeing it in my research and was curious to check it out. It was also conveniently located right across from our lunch spot (see below). We took a brief stroll and I found it very interesting how families from the 1700s to present day were all together in one large tomb. I can only imagine how special that is for those families. 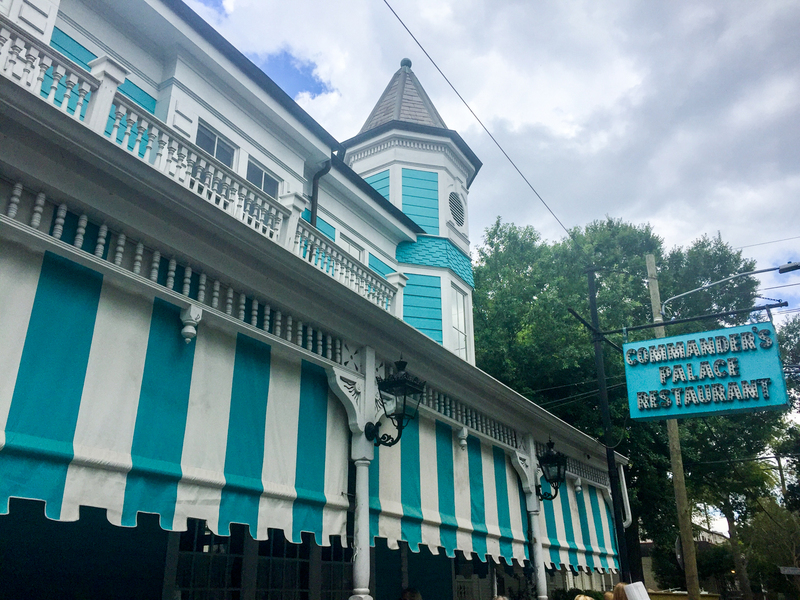 Commander’s Palace has been a local culinary treasure in the Garden District since 1893 and is a winner of numerous accolades, including six James Beard Foundation Awards. 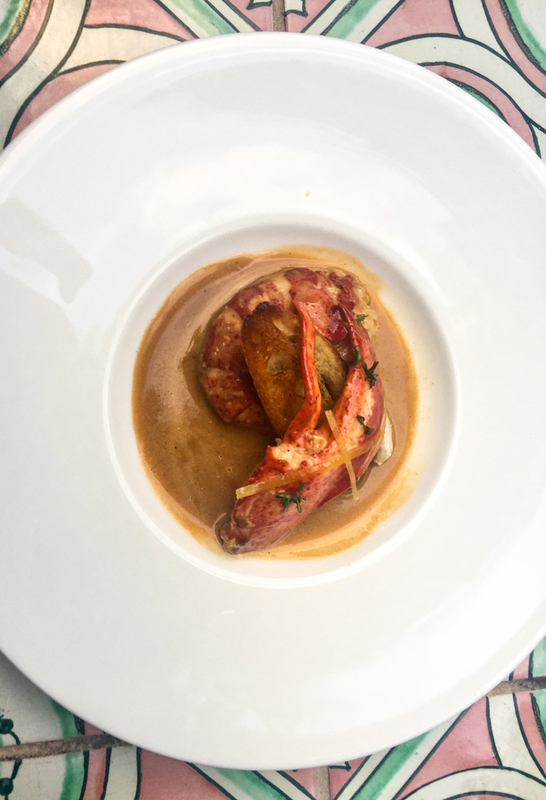 Known for classic Creole cuisine, we tried the Turtle Soup, Gumbo, Sugarcane Lacquered Quail, Cornmeal Crusted Catfish, and Creole Bread Pudding Soufflé as a part of their 3-course pre-fixe option (between the two of us, we tried six of their famed dishes). They also offer a $0.25 martini deal at lunch time, which we also took part in, obviously. 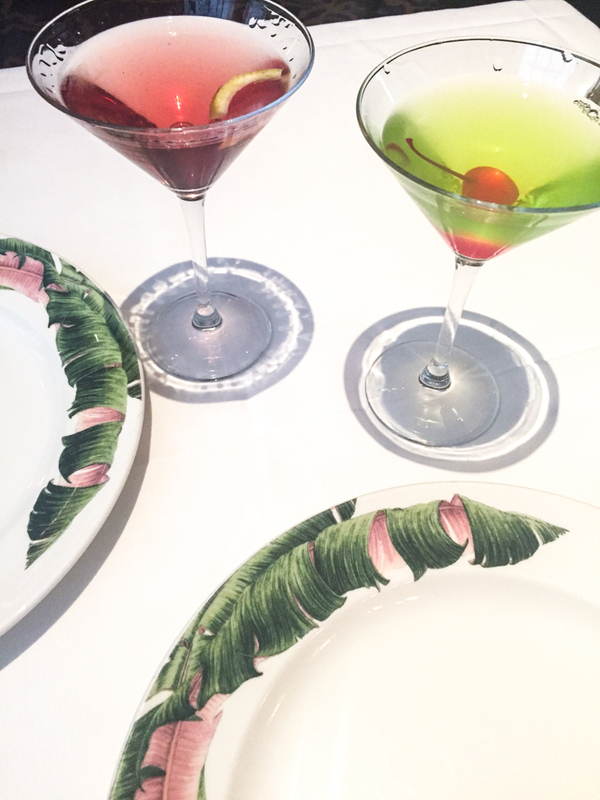 The service, environment, food and drinks were all top-notch. Note the dress code is jackets and collard shirts for gentlemen, no jeans and no t-shirts preferred. I would say during our visit, 95% of our fellow diners followed this dress code (see below). After walking around and admiring the homes in the Garden District, we took the streetcar back to the French Quarter. We started off the evening at Arnaud's French 75, where we ordered the French 75 with Courvoisier VS, Sugar, Lemon Juice, Moet and Chandon Champagne. 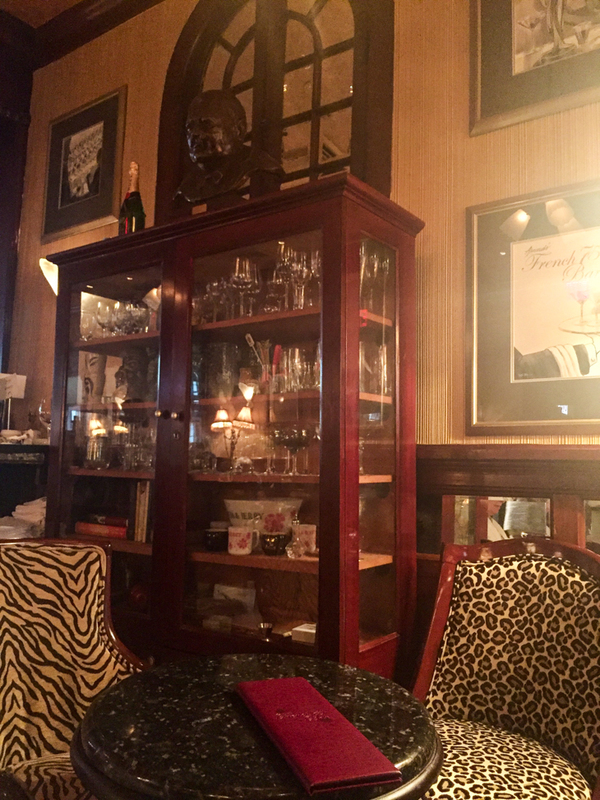 They have an emphasis on premium spirits and classic cocktails in a historical setting. In fact, the bar and bar back are vintage. The bar was custom-built in the late 1800s! Unfortunately, our timing wasn't right to try the restaurant, but it's on my list for next time! 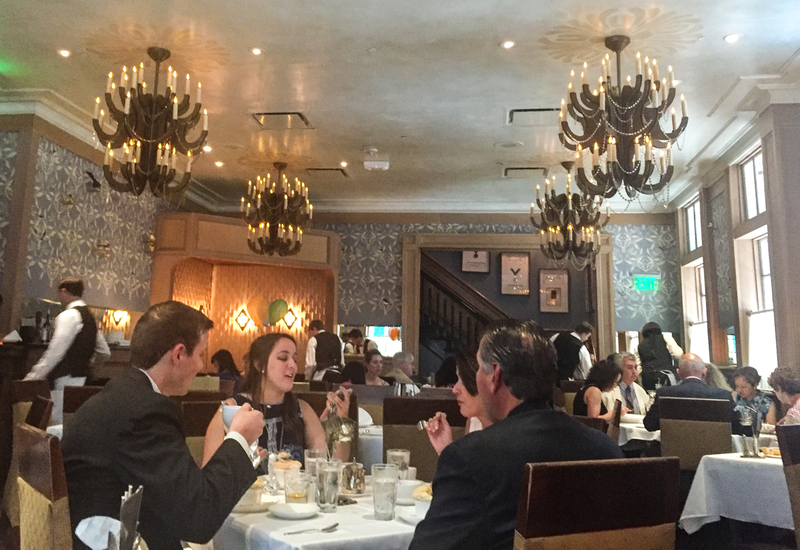 Brennan’s embraces both the historic and contemporary. 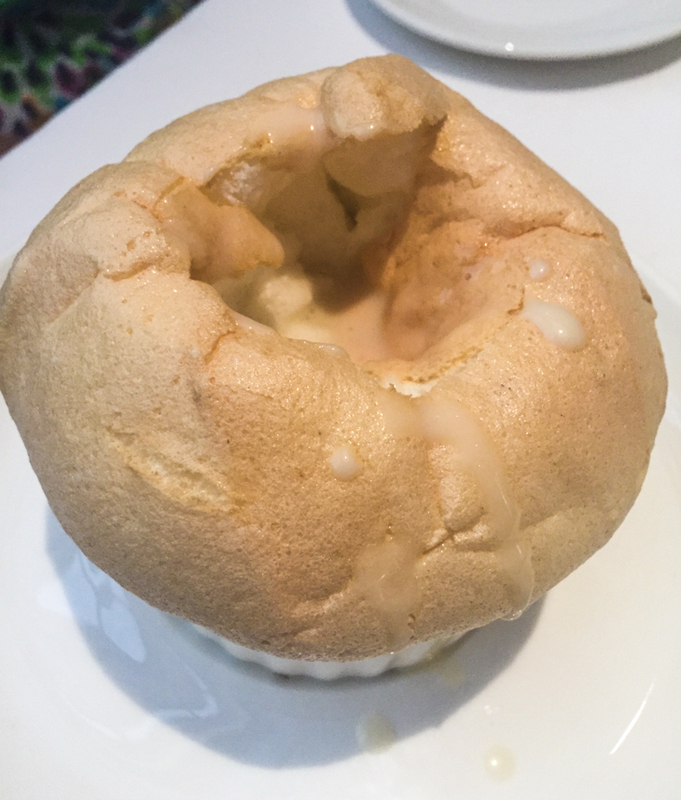 Founded in 1946 and known for inventing Bananas Foster, its menu today is an innovative combination of classic and modern cuisine. 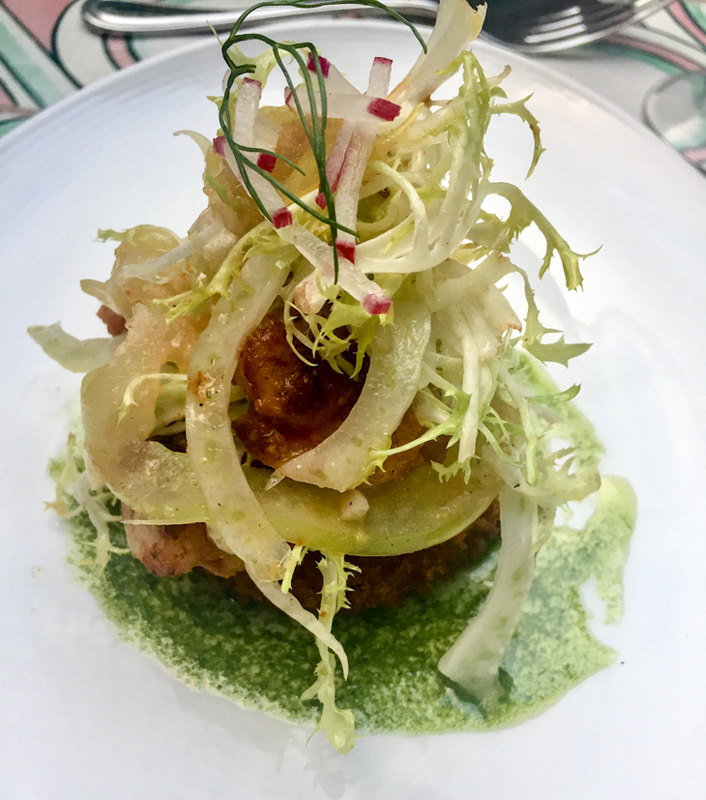 We enjoyed a Shrimp & Green Tomato Salad, BBQ Lobster with creole spiced butter, and a German Chocolate Torte. So delicious! 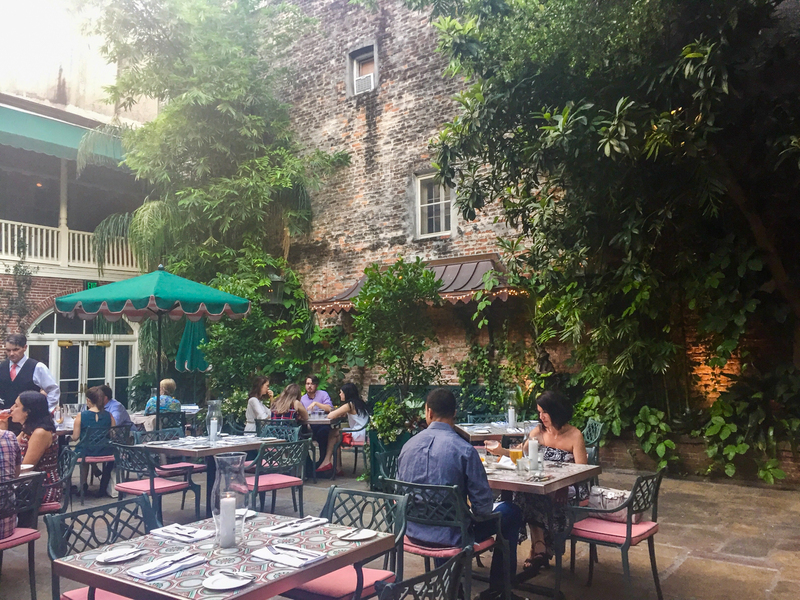 We absolutely loved sitting in the beautiful outdoor courtyard, which I would highly recommend requesting when you book your reservation if it will be nice weather. The pink and green decor doesn't hurt either! Unfortunately, I came down with an awful stomach virus (unrelated to the aforementioned restaurants) on our trip and was bedridden for a whole day. My mom went to Galatoire's and had the below the say about her experience. It's at the top of my list for my next trip! 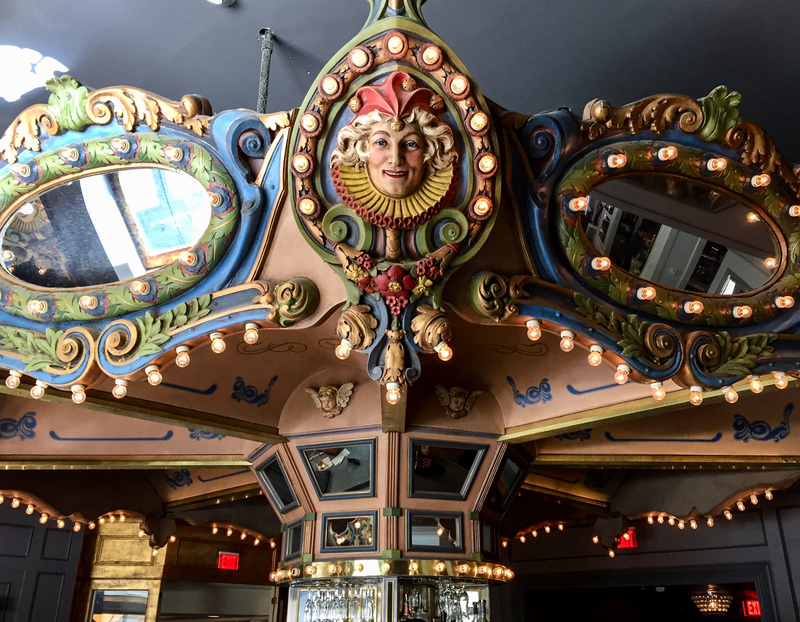 Founded in 1905, this long-standing restaurant still exudes the authentic elegance of a time before Bourbon Street became a street of peep shows and souvenir shops. I ordered one item, Crabmeat Maison, which was a simply delicious rendition of Louisiana jumbo lump crabmeat, green onions, capers, and creole mustard aioli. 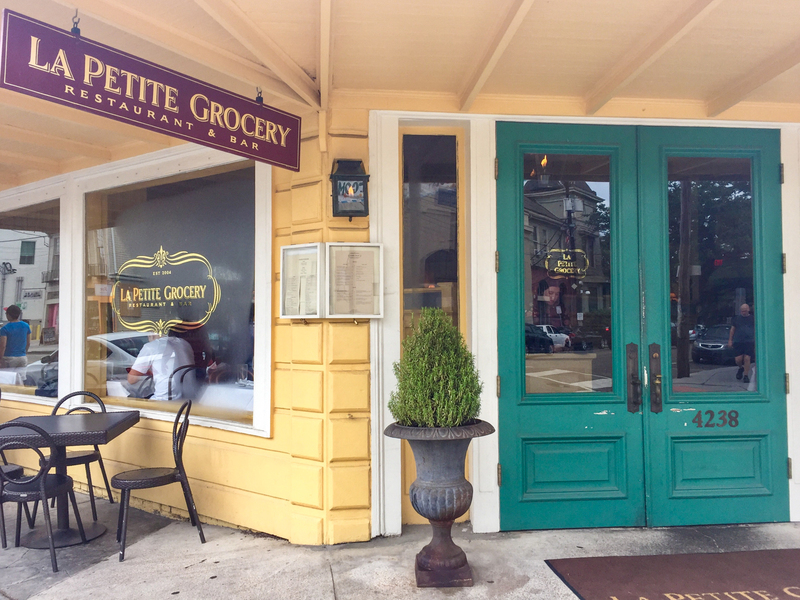 La Petite Grocery pays homage to its history as a local specialty food store, but today is home to the 2016 James Beard Award: Best Chef South, demonstrated in the surprising Veal Sweetbreads with shishito peppers and blue cheese (a special) and a unique interpretation of Chocolate Ooey Gooey Cake. 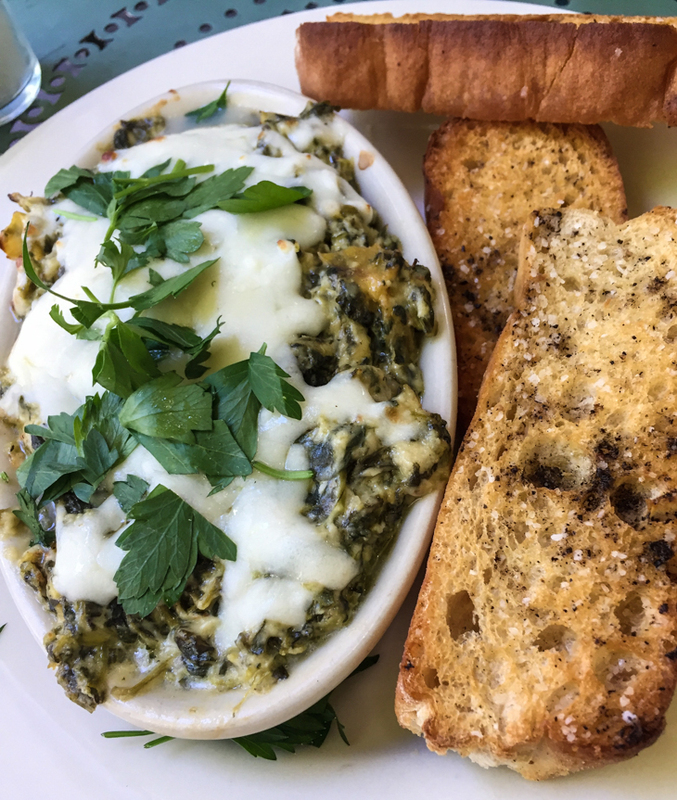 My mom ordered those but as I was still in recovery mode, I ordered the side dish of simple grits with chives and sea salt. Turns out, they were the best grits I've ever had! We walked along Magazine Street before heading back to the hotel and then to the airport. Feeling so sick for a day taught me that planning is so worthwhile (look how many amazing places I was still able to go to!) and to make the most of any situation. No trip will ever go exactly as planned. Things happen! 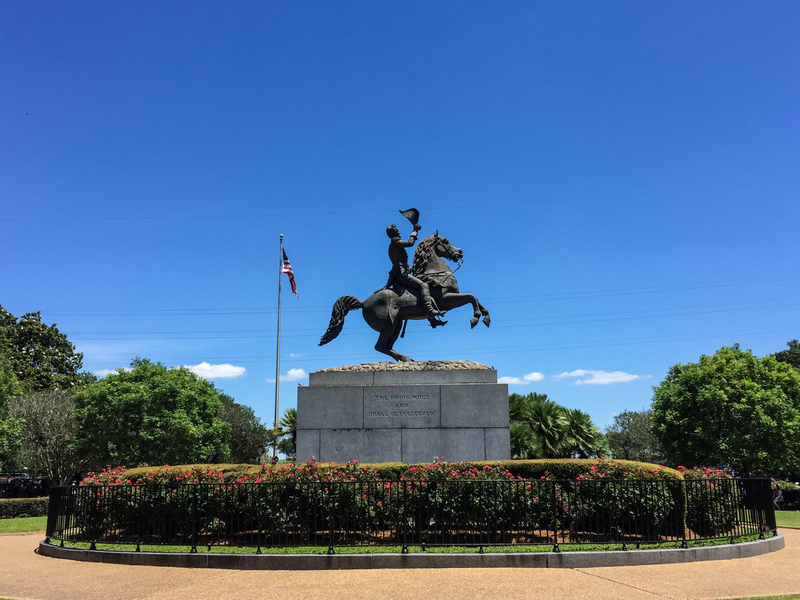 What are your favorite places in New Orleans?